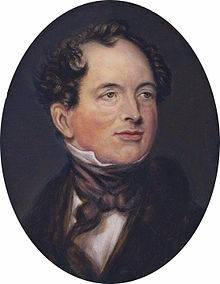 Thomas Moore (28 May 1779 – 25 February 1852) was an Irish writer, poet and music composer. His most famous works in include Irish Melodies and Lalla Rookh. He also edited a volume of the Letters and Journals of Lord Byron in 1830. This page was last changed on 25 May 2016, at 21:41.